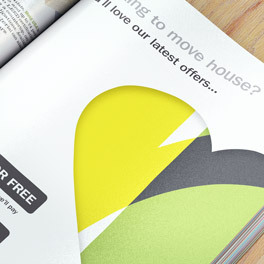 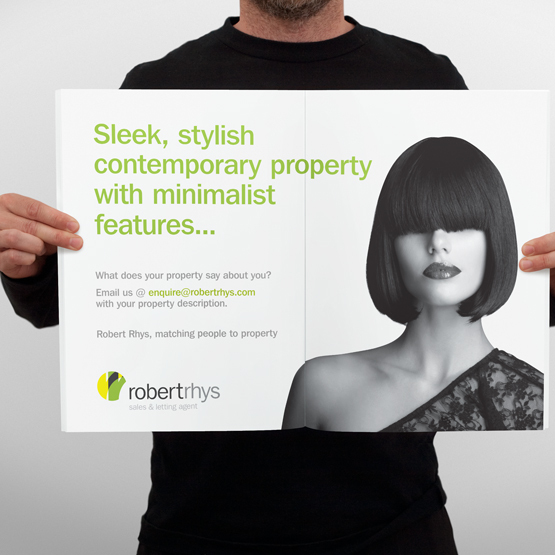 To re-brand the Bristol based estate agency Robert Rhys. 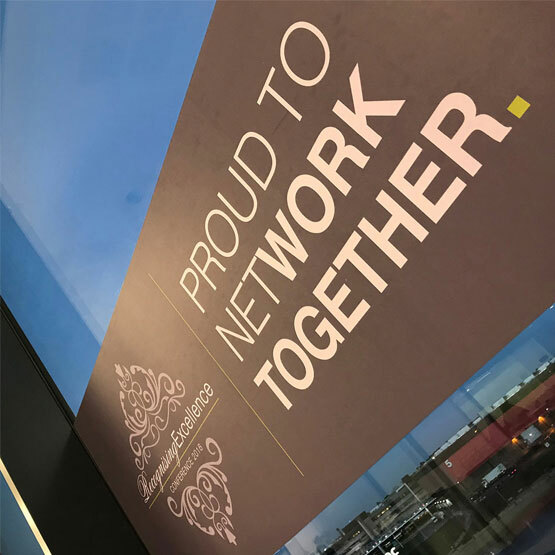 Specialising in City Centre apartments, Robert Rhys are a young and dynamic agency targeting young professionals within the city. 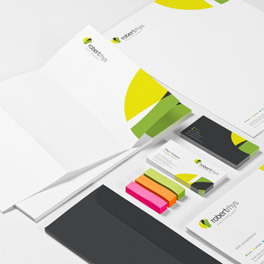 As such the brand needed to convey the dynamism within the business and stand out within an already crowded marketplace. 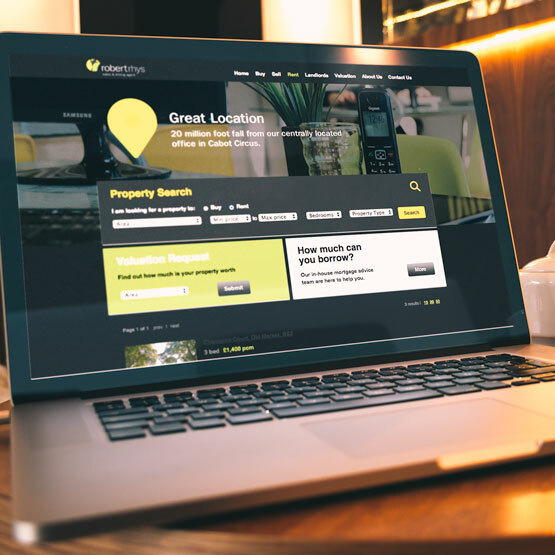 Having researched the Bristol based sales and lettings market we found that most agents portrayed a fairly traditional brand image. 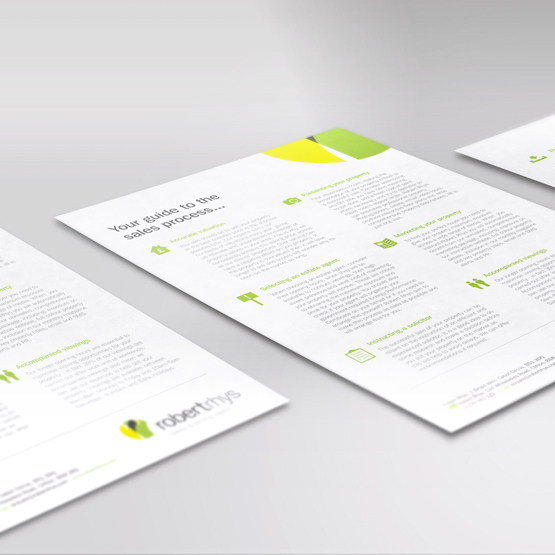 To help Robert Rhys stand out from the crowd and also appeal more to the target demographic we created a contemporary, modern looking logo and coupled it with a friendly, rounded typeface in order to convey their approachable nature. 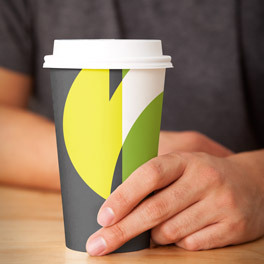 Coupling this with bold and complementary colours, we created sub brands for each of the services they offer. 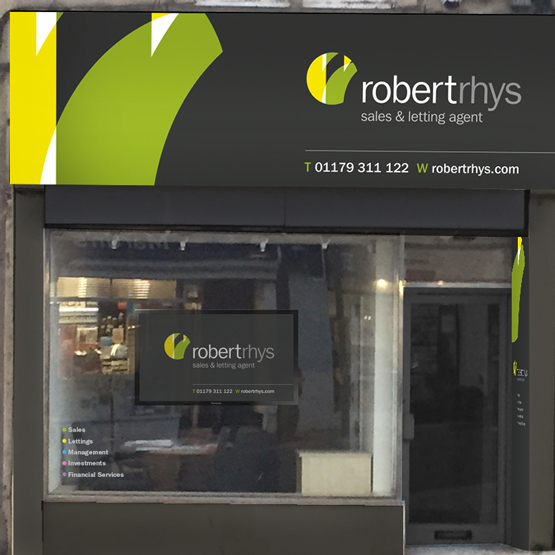 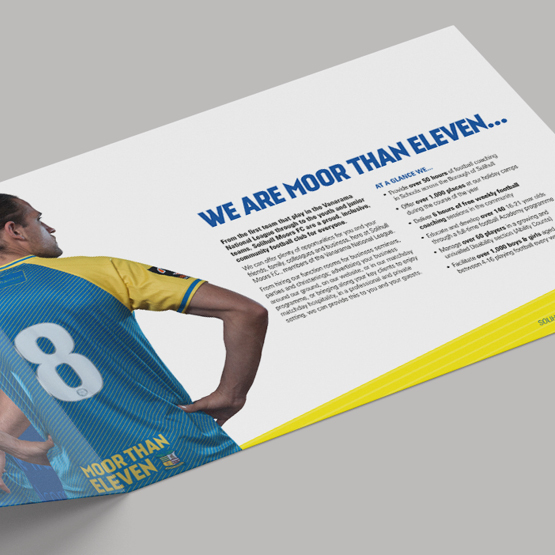 Rolled out across all shop signage, internal décor, sales / lettings boards, website, marketing literature and stationery, Robert Rhys now portray a consistent brand image at all customer touch points. 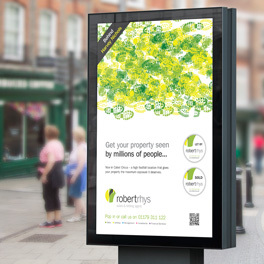 Robert Rhys has since grown from strength to strength and their boards are now a common feature across the Bristol City landscape.